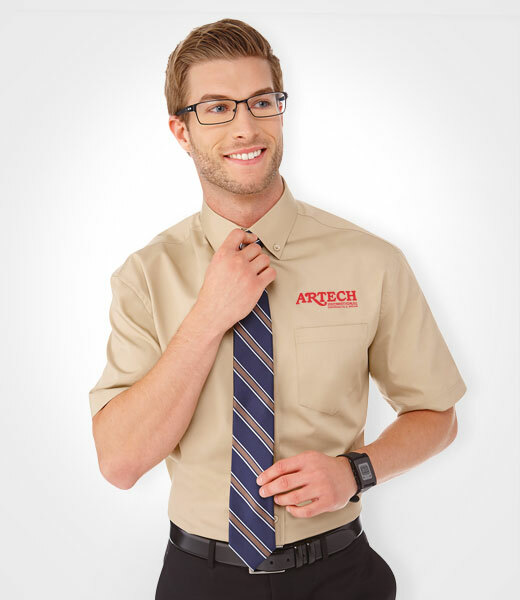 Men’s Short Sleeve Dress Shirt. The Stirling brings style and durability to the classic work shirt. Available in both men’s and women’s corporate styles, this short sleeve woven is designed for heavy wear. 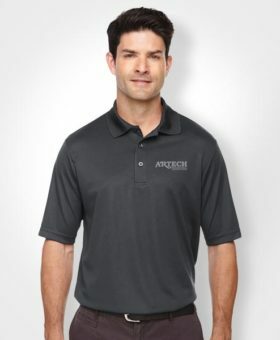 The men’s style features a left-chest pocket and center-back box pleat, while the women’s style has shaped seams and a tapered waist for a more flattering fit. With its decoration-friendly design and wide range of colour options, the versatile Stirling is a sharp look for any industry. Tall styles provide a fit that includes an additional 2″ in the length of the body and the sleeves.